January 18, 2017 January 16, 2017 Amanda B. Our kindergarten students this year love writing. We can put out writing activities and they all want to do it. We like to keep changing up the activities, making them practice different things. This past week, we discussed proper letter formation- some letters are tall, other short and some hang low. My new Letter and Sight Word Literacy Pack has 6 great activities that will help students work on proper letter formation. For our Junior Kindergarten students, we have a simple pick a letter and write the letter worksheet. It’s a simple activity- but it’s effective! The letter cards come with the set- I laminated them to keep them in good condition, so that we can use them with all the other activities the bundle comes with. With our Senior Kindergarten students, we wanted to challenge them. So instead of just picking a letter, they had to pick a sight word. They not only got to practice letter formation, but also proper sentence structure. This is only 2 of the 6 activities included in this pack! 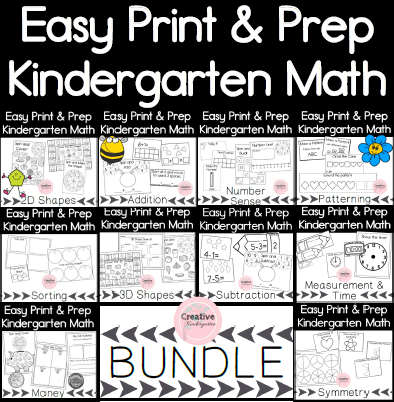 Head over to my Teachers pay Teachers store to see what other activities as included! Do you follow my store? If you don’t already, don’t forget to click the star so that you can receive updates every time I upload a new pack!